The "waking up to find you are missing an earring" problem, solved. Are you tired of waking up from a long night out, or maybe just mid-line, waiting for your morning chai tea latte, and you realize that you only have one earring in? You might try and retrace your steps, but this never helps. This problem seems to loooove me, because i swear this happens to me all the time. This morning- right ear... clover? check. Left ear?.... *ugh* awesome. So heres my quick fix solution that doesn't involve getting your a** to the store and buying a whole new pair. Lets get to mix and matching! 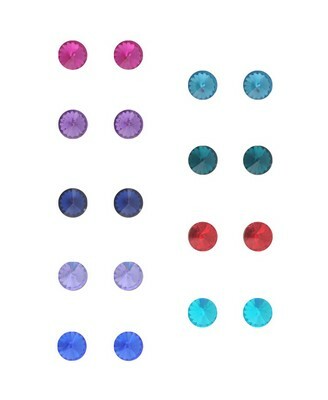 Now it works really well when you buy sets as such, because you obviously have an array of choices of the same style earring. 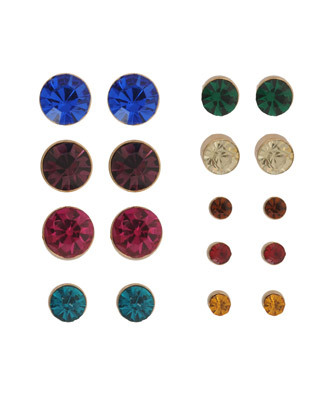 If you are wearing two toned outfit, pick one stud of each color and your ready to go! Hoops work great too, and are great for color blocking. Say you have a yellow, pink outfit, like Stephanie from Steffys Pros and Cons (one of my favorite bloggers pictured here), grab that yellow hoop you lost the other to, and add a pink. Voila, instant chic color blocking! 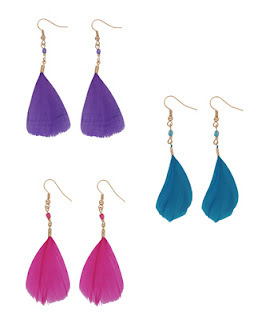 Feathers are my absolute favorite to mix and match! They don't even have to be the same style, just make sure they are similar in style and shape! Here are the awesome cone studs my earlobes like to "throw out" when i go out, but i have so many now i can use multiple colors in an outfit, and since i have two holes on each lobe, i can use 4 colored studs! Now, if you really cant find any other earring that is the same style-esque, its time for a DIY. 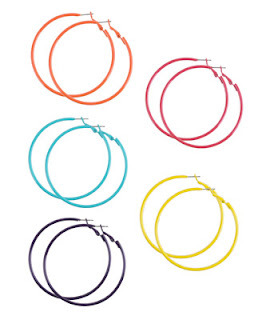 And you dont have to be a pro at DIY'ing either, all you need is a little kit from the dollar store, or Claires or Walmart that has a little pair of tweezers, and some extra loops and clasps- pictured here. 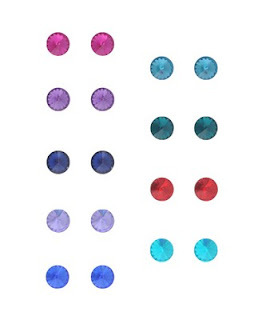 Next a ring, bracelet, necklace, or any kind of jewery, and add to it! Even if its just a chain, the earring can serve as a charm. All you do, is attach the earring to a chain link or loop, attach it to the desired piece of jewery, and close the clasp with the pliers. There you go, a new piece of statement jewelry! Hope your guys enjoyed! Let me know if your try this, send me a message and ill put your picture up on my blog!